Henri Carr has been working in the flooring industry for over 30 years. With industry experience in all aspects of flooring from installation, inspections to sales, you would be hard pressed to find a more “hands-on” instructor. Henri has been a certified flooring inspector since 1998.Beginning in 2005 through 2010 Henri was the certifying instructor at FCITS for all classes in their curriculum.Keeping up-to-date on the products and techniques and problem-solving techniques is an integral part of the trade. Knowing the business from all aspects and having hands-on experience is key to the business integrity and growth. Henri continues to increase his knowledge of product and industry and brings all of this to his classes. The lessons learned are then put into practice giving you the most comprehensive and thorough classes.The contacts Henri built throughout his 30 years in the industry is key to getting the right answers to difficult questions. This has allowed Henri to provide technical support to the hundreds of inspectors he has trained over the past years at FCITS. And why so many of his students were anxious for IFCI to open it’s doors. From time to time IFCI will have expert speakers teaching portions of the classes, as the class requires. Check back for our additions. 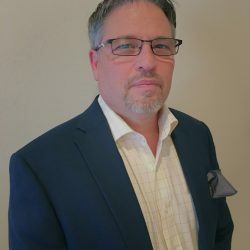 Billy Simmons has been in all phases of the construction industry most of his life, and over the past 20 years has dedicated his experience to the flooring industry. Billy was top of the class in Building Science, focusing on HVAC and has achieved both the Vanguard & Ambassador degrees from the NWFA. He holds a Bachelor of Science and is a Certified Forensic Consultant. Billy has hands-on experience in all phases of installation, maintenance and corrective services in both residential and commercial applications. He possesses Master Certification’s in construction management focusing on Floors, Slabs and Green Building Sustainability from the World of Concrete. He is additionally, certified by the International Concrete Repair Institute (ICRI) as a Concrete Slab Moisture Testing Technician. Billy has achieved Hardwood Inspector Certifications from IFCI, FCITS, IICRC, NWFA and is 1 the only 19 NWFA certified commercial hardwood inspectors in North America including Canada. Billy has achieved Carpet Inspector Certifications with IFCI, FCITS, CFI, and IICRC. Billy has many other credentials related to floor safety. ANSI/NFSI Certificate Holder- Walkway Auditor & Safety Specialist, CXLT Tribometer Certified, and CPAA-Floor Slippage Safety. Training. 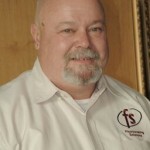 Billy is the founder of Simmons Inspection Services, LLC., a flooring inspection, and consultation firm. Billy has conducted investigations for distributors, contractors, home builders, manufacturers, attorneys, homeowners and insurance companies. He enjoys instructing at educational seminars for flooring professionals.